I don't know what is more breathtaking, that view, or the gorgeous wall quote! Ok, maybe the view wins on this photo, but we love our customers creativity! 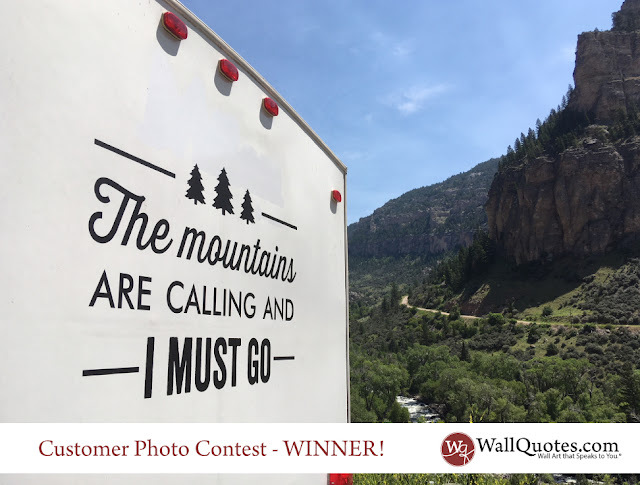 Evan placed our The Mountains Are Calling Wall Quotes™ Decal on the back of a trailer. Then they spent 2.5 weeks touring several national parks. I'm so jealous and inspired at the same time.